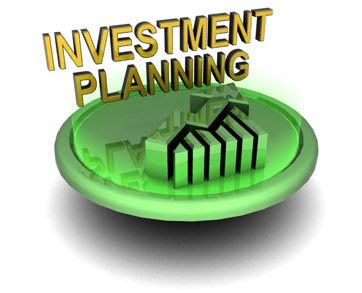 Small Investment plans are those which gives you high return on small investment and in short period of time. As you know, most of the investment plan demands high money to be invested, starting from Stocks to business ideas, all thing wants high money. So, most of common man end up doing fixed deposit or simple saving deposit in bank. Sometimes people saves money for marriage or education fees for children and for that they save money. In such case, you can save in these schemes to get high returns on monthly investment plan. To get high returns on the small deposit, here is the list of Best Small Investment Plans which will give you high returns. Mutual Fund SIP is called new smart style of investment. Till date we used to do deposit money in bank but now we can earn more higher interest rate. Mutual Fund SIPs are the best way to build wealth for your child's marriage or higher education.SIPs are quite flexible, you can start even with Rs.1000 per month. Just choose the Best Mutual Fund SIPs which may even give you minimum 15% return annual (double of fixed deposit). Almost every bank provides you facility of opening recurring deposit plan. Recurring Deposit (RD) plan is simple, every month some amount of money will be deducted and added in RD account, which will gives you 9% interest.If you have small amount of money, instead of fixed deposit (where you get 8% up to), here in RD you will get 9% interest rate. If you start RD of Rs.1000 per month, you will get Rs. 2 lakh after 10 years. You can open PPF account in any nationalist bank, where you can get annual 8.75% of guarantee return. The only thing with PPF is that your money will be locked for 15 years. And another thing is that all the interest earned via PPF is TAX Free. This is the best investment plan if you want to secure your children's marriage plan or foreign education plan, you can start with PPF. If you start investing Rs.1 lac per year for 15 years it can get you Rs.31.30 lakh (Tax Free) :). Its a customize Insurance plan which you can buy for securing future, child education, or even for retirement/pension plan. For Example, after your child's marriage, you need Rs.20 lakh for rest of your life (pension plan), so you can buy 20 lakh of term insurance plan for 30 year which will cost you Rs.5000/year. Which is much more than Bank FD rates, in fact these term insurance money will be invested in Mutual Funds/Bank FD/Equity to get more returns. NSC is similar kind of investment plan like PPF, but in NSC the lock in period is 10 years (while in PPF its 15 years). you can get Tax benefit for the money you investing in NSC. For example, if you invest Rs.1 lac for 10 years in NSC you will get Rs.2.34 lac from 11th year for next 10 years, which is good to secure your future. ULIP schemes are for those who already investing in all the above schemes but still want to make small investment, in that case, you can start investing in ULIP schemes where you can get up to 4-6% of annual returns. Check out HDFC's Life Click 2 Retire Online ULIP scheme. These are the best small investment plans which are currently i know, if i miss any plan,do comment below, i will add it for sure. Also, do tell me which one is best investment plan as per you?